I love John Carpenter, and Escape From New York (1981) is among his best. So I was really bummed when I heard the film is being remade sans Kurt Russell and Carpenter (While someone can rip off Carpenter’s script and visual style, no one will ever be able to compose THAT music! Also, where is the bloody glider going to land?) Then I read a quote from Carpenter that made me feel a little better. He said he gives the new film his blessing, but it must meet three requirements to be use the title Escape From New York. The lead character must be name Snake Plissken, he must have an eye patch, and he must be a badass. Fair enough! Go nuts within those rules and you can really have a great thing in the right hands. I’ve often felt the same way about the Bond films, especially before the recent Daniel Craig reboot. Why not make Bond a directors showcase? The Bond ground rules are more or less set; opening action sequence, guns and legs silhouetted credit sequence, exotic locations, beautiful women, cools cars and gadgets, diabolical villains hell-bent on taking over/ destroying the world and a hero who is suave, well dressed, skilled in everything from defusing a bomb to out-of-bounds skiing and never, ever panics, no matter what the odds. So, take that, and then get everyone in Hollywood’s take on that. In other words, Bond should be a playground for directors to play in. There are the obvious choices of action guys like the Michael Bay’s, Paul Greenglasse’s and James Cameron’s of the world but I think it works better when you go beyond that. (Ed. Note: you could argue Greenglass of the Bourne films and Cameron of True Lies (1994) have already made their Bond films but go with me on this. Bay may have very well made his as well, I haven’t seen many of his movies.) 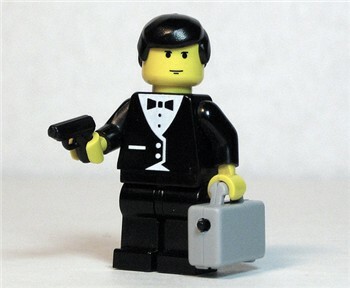 What about a Bond film directed by Scorsese starting Leo? How about a Spike Lee Joint with Denzel Washington as 007? Quentin Tarantino’s bond starring Michael Madison, or better yet Uma, where Bond talks his/her way out of some sticky situations? Spielberg and Ford? Guillermo del Toro and Benicio Del Toro? Soderbergh and Clooney? Herzog and Cage? Burton and Depp? The Coen Brothers and anyone? Or even, Carpenter and Russell? This game is endless and can go on and on but how cool to see these guys and everyone else worth their salt put their stamp, story telling, mise en scene, etc. on the Bond legend? (Ed. Note: I’m ruling out comedies as between In Like Flint, The Pink Panther, Austin Powers, etc. it’s been done. And after Woody Allen has been in Casino Royal (1967), well, where do you go from there? That said, as a New Yorker, I would love to see Alvy Singer as 007 with Annie Hall as his Bond girl. Also, we need to keep Joel “I ruined Batman” Shitmaker away from this entire enterprise.) Anyway, picking up where we left off, would Marty’s Bond be guilty about killing? Would Spikes be a stronger more silent type? Would the Coen’s make it Barton Fink, Millers Crossing, or Big Lebowski? Would Quentin’s Bond argue with Blofeld about who was the better band, the Beatles or the Stones? Who knows, but that would make it fun, every time. And these directors can go nuts since they can always fall back on the “Hey it was a Bond film. This is the franchise that had an invisible car racing up a melting ice hotel for the sake of Pete. You going to give Marty crap for equipping his 007 with Taxi Driver arm gun slides that produce ray guns?” The recent re-boot made me think this idea might no longer be needed but the current Bond will eventually get stale as well (look at the drop off from the first to second Craig films) and this could be a way to keep Bond forever alive and entertaining. Also, we may have no choice if MGM goes bankrupt. Bond could be snatched up by anyone and then the 40 plus years worth of quality control that EON fought so hard to preserve maybe down the toilet. If that happens, this idea might just save Bond. They could even do some remakes. Can we give John Carpenter Moonraker PLEASE???? And Muse would get the theme song, obviously. Lastly a Blog James Blog note. I have been traveling a bunch for work in the past two weeks and I will continue to be on the road for the next three weeks or so. I have been working on Diamonds Are Forever (1971) but I don’t think it will be ready to post any time soon. In the meantime, it’s a fun game to think about your favorite director/Bond actor combo. I will get Diamonds Are Forever up as soon as I can. And what the hell is up with Mr. Kidd and Mr. Wint?